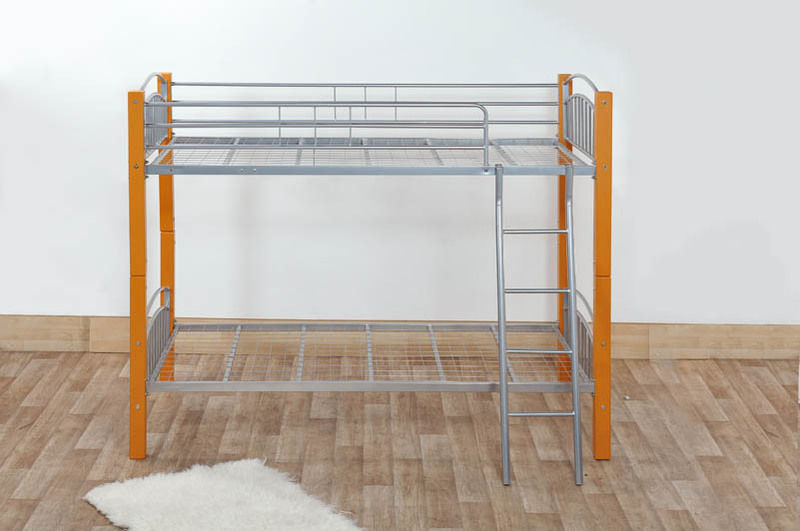 With a combination of hard wood posts and a metal frame structure, the Barcelona Bunk Bed is a modern and stylish new bunk bed that not only looks good but also stands out from the crowd. 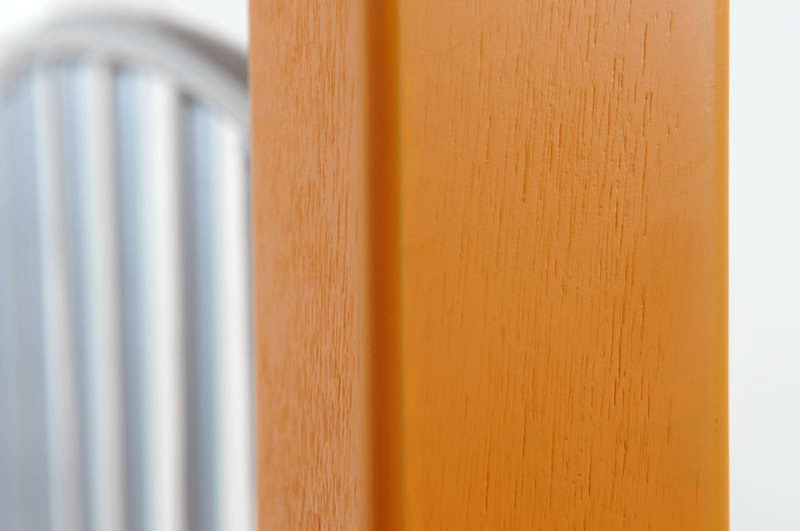 The posts are made from a hard wood which is available in either a grazed beech/orange or a white finish. 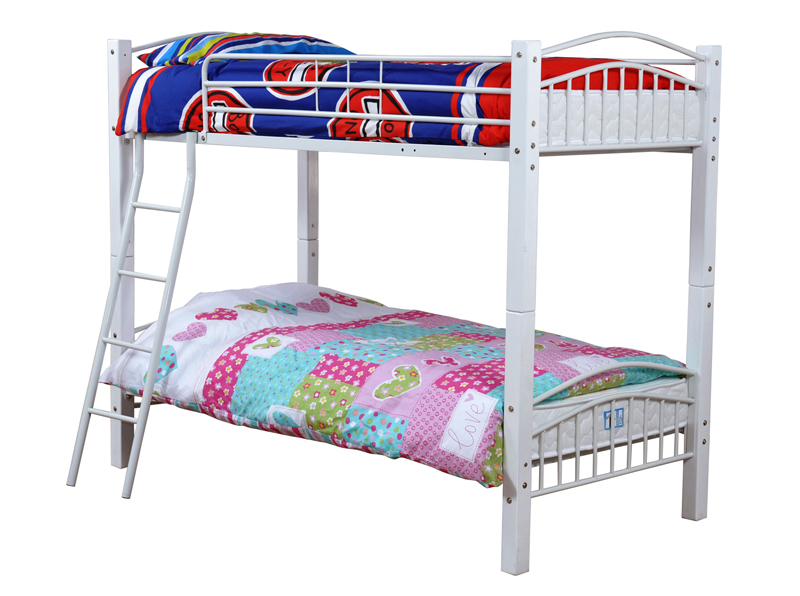 Tthe internal structure is made from metal in a silver finish. 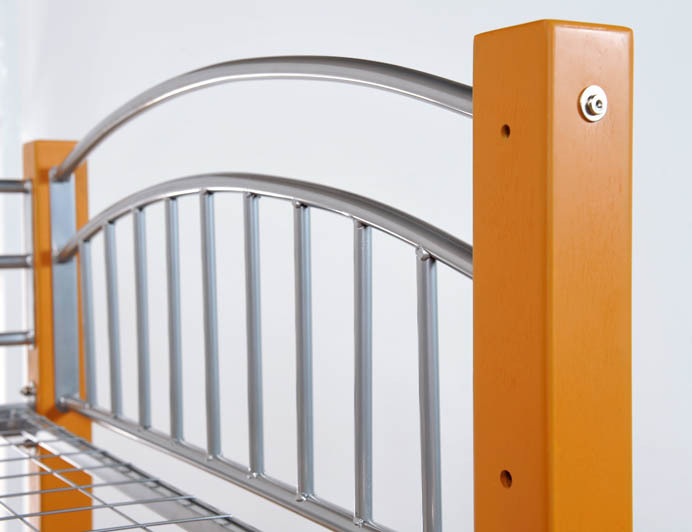 Features hard wooden posts in a simple but stylish beech/orange finish that offsets the metal structure of the frame. This combination gives a unique style that stands out from the competition. Plan ahead of time with this great feature. 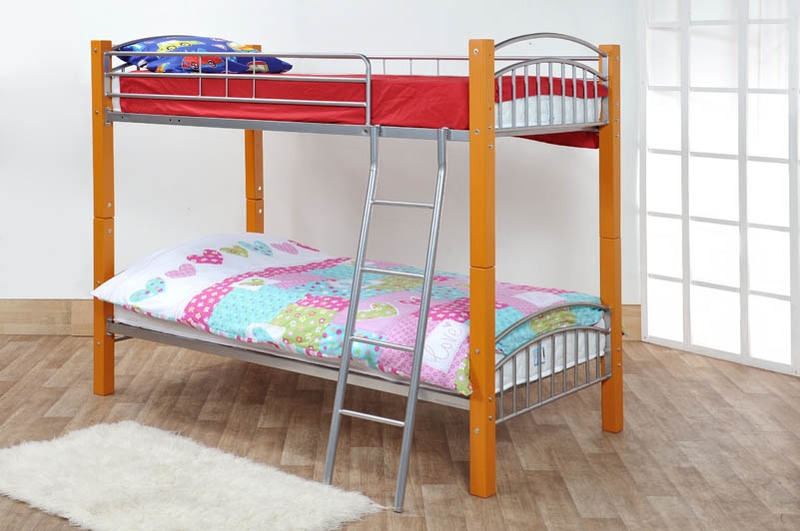 When the time is right you can easily split this bunk bed to work as 2 3FT size bed frames. Perfect when you children are growing up and need more space to sleep and saves you money as you do not need to buy new furniture. This mattress is ideal for those who are looking for the great benefits of open coil springs without the use of memory or reflex foam. Excellent for guest rooms.